Microsoft Word is one of those programmes you use every day (pretty much) without giving it a second thought. But what if there was a way to be more productive? It’s the same with anything you use regularly. You become overly familiar with it and then continue to use it as as you always have, even if there’s a quicker way to get things done. That’s the problem with Word. It’s certainly not the hardest bit of software to use, so the way you use it seems perfectly OK. However, just a few minutes of your time will make you more productive. 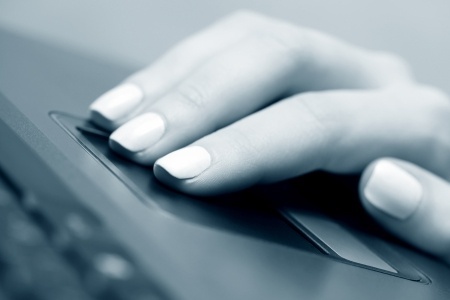 Below are 15 really useful keyboard shortcuts that you, or may not know about. They work for both Word for Windows 2013 and 2016. Keyboard Access to the Ribbon: Just like Excel, Word has a method that lets you access menu items using only your keyboard. Just press Alt or F10 and letters will appear next to each visible menu item. Press the corresponding letter to activate a particular menu option. To get rid of the labels, press Esc. Ctrl + F1: Display or hide the Ribbon. 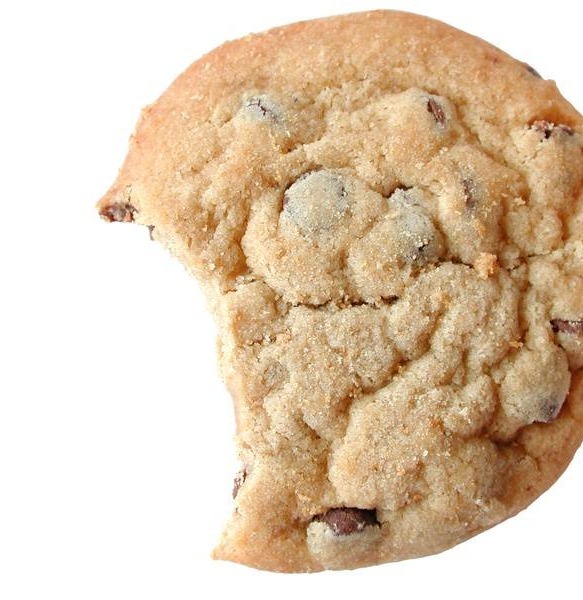 Ctrl + K: Insert a hyperlink for the selected text. Ctrl + F: Open the search box in the navigation pane. Alt + Ctrl + S: Split or remove split in the document window. Ctrl + Backspace: Delete one word to the left. Shift + F3: Change the case of the selected letters. Alt + Shift + W: Underline the selected words, but not the spaces included in the selection. Ctrl + 1: Set single-line spacing. Ctrl + 2: Set double-line spacing. Ctrl + 5: Set 1.5-line spacing. Ctrl + Y: Re-do the last action. Ctrl + Enter: Insert page break. Ctrl + W: Close the current document. Alt + F4: Close the program. There’s lot to remember there, so bookmark this page for easy reference until you’ve committed them all to memory. Being the safety conscious type, I’m sure you’ve made sure your PC is protected with the latest all singing all dancing anti-malware software. But did you realise that Windows Defender is already installed with Windows and is probably wasting precious resources on your machine because? Well, you’ll probably be interested in hearing how to get shot of it, after all what’s the point in having two pieces of software feverishly working away doing the same job when you only need one? 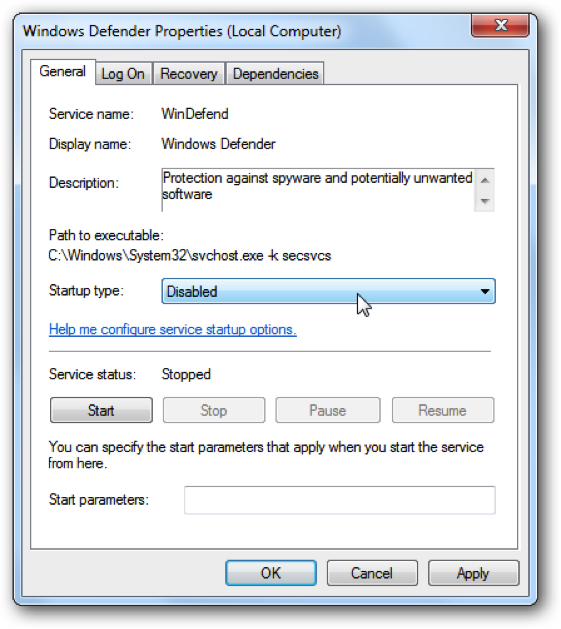 So here’s how to disable Windows Defender. Why disable and not uninstall? Simply because its built into Windows so you can’t uninstall it. So here’s how you can disable it. 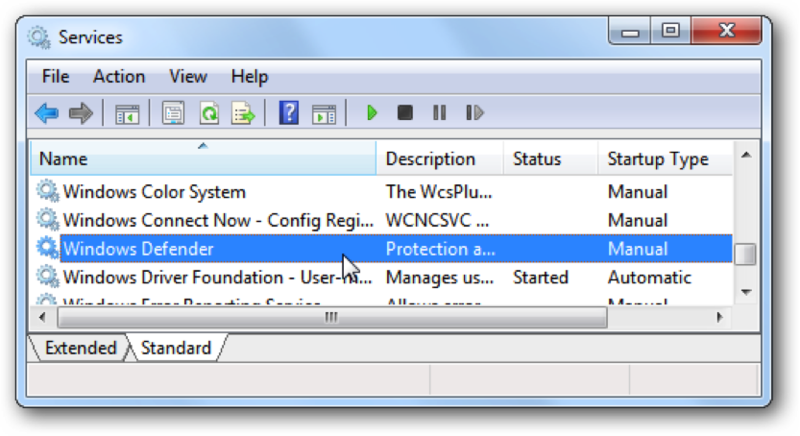 Open Windows Defender by going to Tools on the top menu and clicking Options. Then click on Administrator on the left-hand pane, uncheck the box for “Use this program” and click Save. You will then be told the program us turned off. If you want to make sure it never comes back on, open up the Services panel through Control Panel or by typing services.msc into the Start Menu search or run boxes. 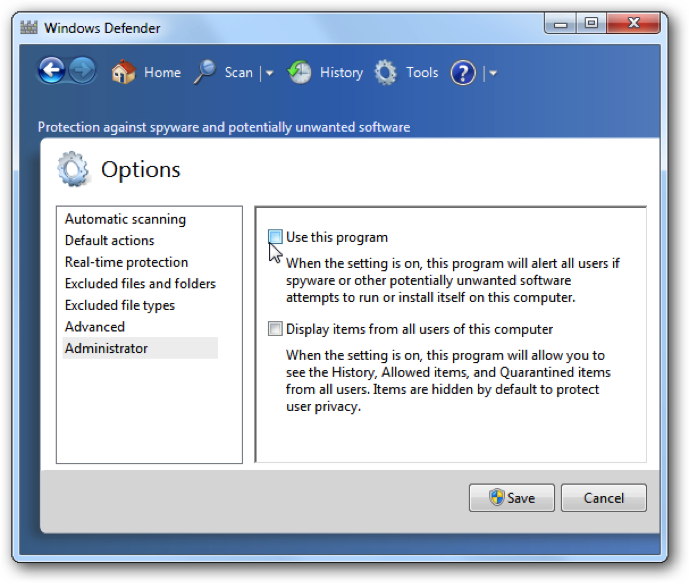 Find Windows Defender in the list and double click it. Just remember, if you do disable Windows Defender make sure you have protected yourself from malware with another product. If you have any queries or want to know how to do something else with your Windows machine, leave a comment below and we’ll see what we can do to help. 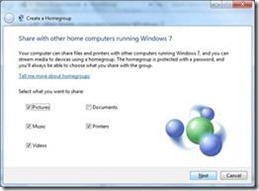 HomeGroup is a rather nifty feature of Windows 7 that allows you to easily share documents, photos and music across your home network. If you want to learn how to set it up, we found a very useful guide on PCPro by David Fearon. It assumes you have 2 Windows 7 machines on a local network at home. Every machine you want to include in your HomeGroup will have to run on Windows 7. The first thing to is make sure your network type is set to ‘home’ rather than ‘work’ or ‘public’. 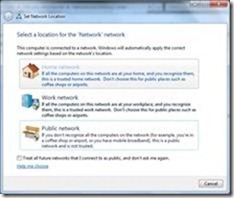 Start up the Network and Sharing Center, click your network under the Active Networks heading and then select Home. 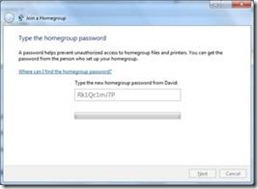 Now type ‘homegroup’ in the Windows 7 start box and hit Enter. You’ll get a dialog telling you there’s no homegroup on the network. Click ‘Create a homegroup’ and choose which types of files you want to share and hit Okay. 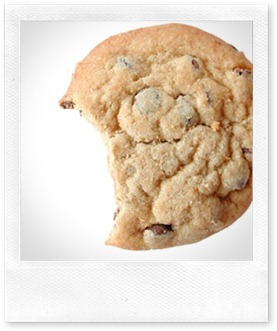 After a short pause, a window will appear, in which a password will fade elegantly into view. You’ll notice the password is long and random. You can write it down or, preferably, copy and paste it into a new text document. Hit Finish and you’ll get the option to change the settings of the homegroup you’ve just created. There’s also the option to stream all your media in the old way via Media Player-style sharing – this isn’t actually part of the HomeGroup system though. 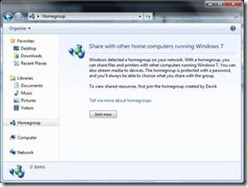 With the homegroup set up, you can join it from any other Windows 7 PC on the network by clicking the HomeGroup entry in the left-hand pane of Explorer windows. 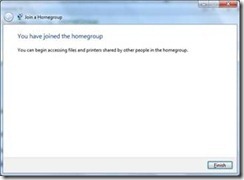 The Join HomeGroup dialog will automatically open. Enter the password you wrote down when you created the group, select which of the documents you want to share on this computer and that’s all there is to it. 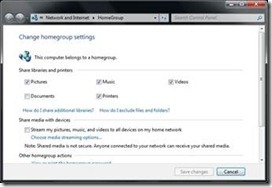 You can leave the group at any time from HomeGroup settings window. There you go, that’s all there is to it. Everything is going computerised – OK, so that’s not exactly headline news, but you’d be surprised at the number of companies out there still battling with paper records. To those who don’t use it a lot, technology can seem daunting. There’s that constant fear of pressing the wrong button and losing everything. And what happens when something goes wrong? The sad fact is that if you don’t get a handle on your IT and drag your business into the 21st century, you’re going to be left behind. 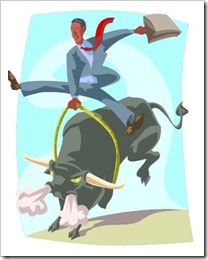 Are you a small company trying to compete in the big world of commerce? Are you fed up with manual cash books, sales books, carbon copy invoices and hand written quotations? Do you own a computer, but are not sure how best to utilise it? Would you like a computer but don’t know where to begin, and have no one to guide you to buy one? Would you like some affordable help? Go on, be honest, how many times did you say ‘yes’? 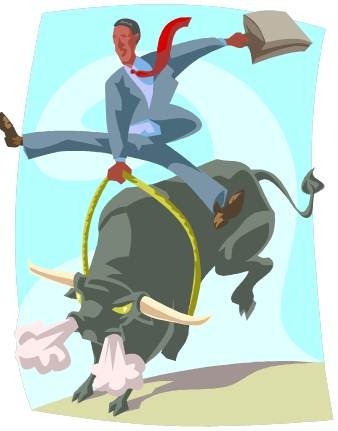 It’s time to take the bull by the horns (or computer by the keyboard) and get to grips with technology – it’s really not as difficult as you think. 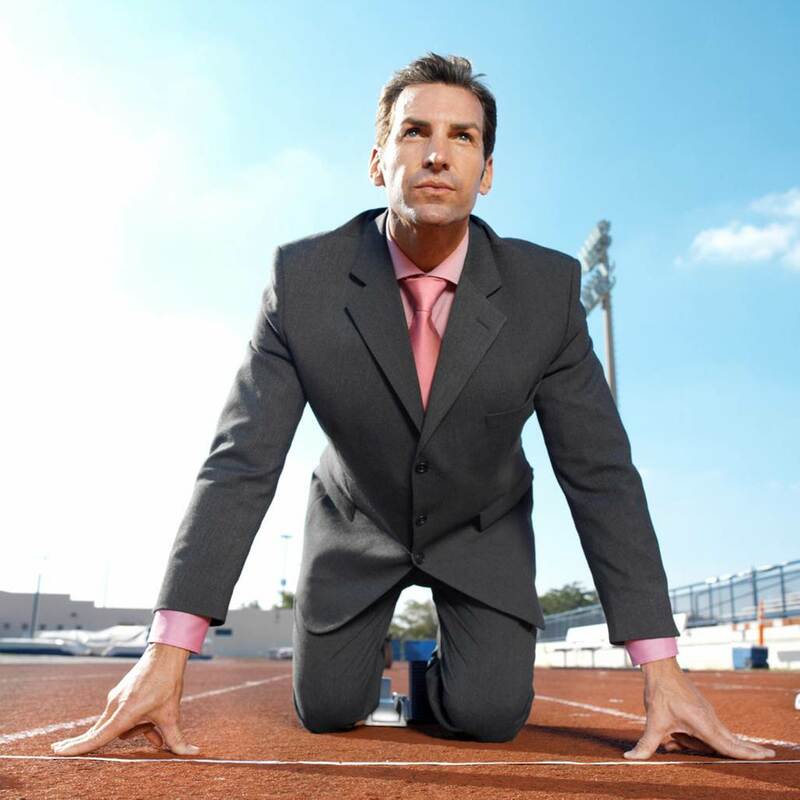 Contacting your local IT training specialist will help your business compete with the big boys. Before you know it, you’ll be surfing, word processing and spread-sheeting like a professional. What are you waiting for? Find your nearest IT training company today and embrace technology. You probably don’t want to hear this right now, but the festive season is fast approaching, which means a New Year is just around the corner. We all like to come up with a resolution to mark the start of another 12 months and with the current climate, many of you may be considering setting up your own business. Getting out there and doing your own thing is exciting and frightening all at the same time. It’s your opportunity to say goodbye to your boss forever. You can work the hours you want, when you want. You are in control of your destiny. Great! But what about all the other stuff? What about being in charge of your IT all by yourself? There’s a lot to think about on the IT front when starting up your business – domain names, email, social media, is your computer up to the job? So now’s the time to get the help you need. Now, we don’t normally like to blow our own trumpet here on IT Support Blog, but considering the number of people who will be looking to go it alone in 2012, we felt compelled to tell you about the Start-Up Package we’ve put together. What’s more, you get all of that for just £200. Sor, if you’re looking to start your own business, make sure you’ve got all the IT boxes ticked. Do you really understand the inner workings of your PC? When investing in a new machine, do you really understand all those initials and numbers? To many, the inner workings of a PC is shrouded in mystery. It’s list of features appears to be written in a strange and archaic language that few understand. But help is at hand. Getting to grips with your PC’s hardware can seem pretty daunting. But, by the end of this post, you will be able to identify the different components of your PC and understand their function. This overview will cover the System Unit, Disk Drive and Display Screen – are you ready? The Motherboard (also known as a system or base board) is a single printed circuit board that holds the microprocessor, memory chips (RAM & ROM), expansion slots and power connectors. The Microprocessor is the brain of your PC. Also known as the CPU (central processing unit) it carries out commands, controls the timings of each operation and performs arithmetic calculations. The most common microprocessor manufacturers are Intel, Cyrix, AMD and Nexus. The speed of these microprocessors is measured in megahertz – the higher the number, the faster your PC. When it comes to Memory, your PC has two types – RAM and ROM. RAM is high speed memory that the microprocessor can read from or write to for temporary storage of programs or data while in use. 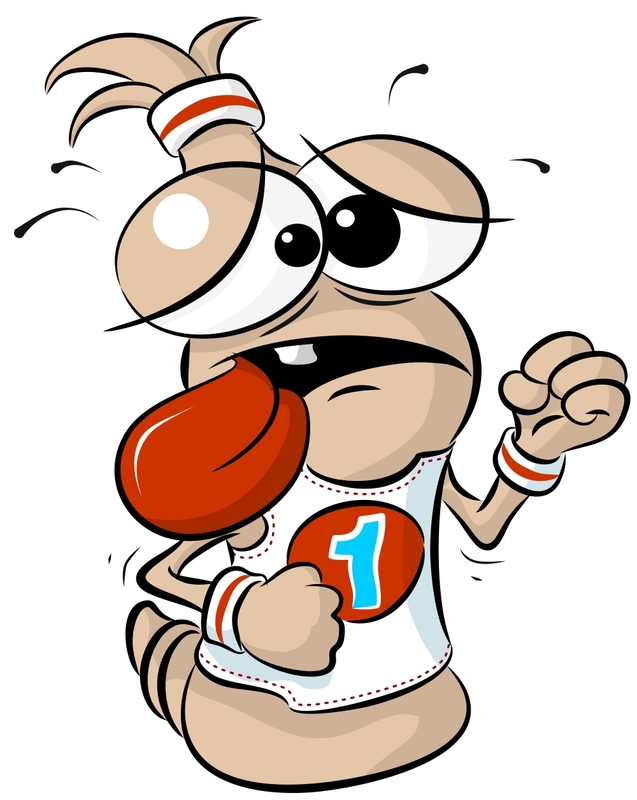 Unlike disk drives, any information in RAM is lost when you switch off your machine. It should therefore be considered as a work space – again, the bigger the desk (number of RAM) the more you can do. ROM, on the other hand, holds information which was been programmed into your PC during its manufacture and can’t be altered. Expansion slots give you the opportunity to grow your system by adding new features such as a fax/modem, SCSI interface or sound blaster card. The Power supply is what converts the 240v AC electricity supply to the 5v (for the circuit boards) and 12v (powers motor driven devices such as hard drives) DC power required by the PC. The Hard Drive is fixed within the system unit and is capable of storing much more data than floppy disks. Therefore, it is essential you constantly back-up your files regularly. In comparison a floppy disk holds less data and are considerably slower in use than hard disks. Their main advantage is their portability. However, today’s modern PCs, and especially laptops, are moving away from this media in favour of CD/DVD. The main output device of most PCs is the display screen. The display adapter or video card is found inside the system unit and can be an integral part of the motherboard or, more commonly, an expansion card. The display adapter receives image data from the microprocessor and stores the information in video RAM – a special form of RAM usually located on the video card. A special video chip scans this data and converts it to a digital image. This digital image is then converted to a form that can be displayed using the monitor. 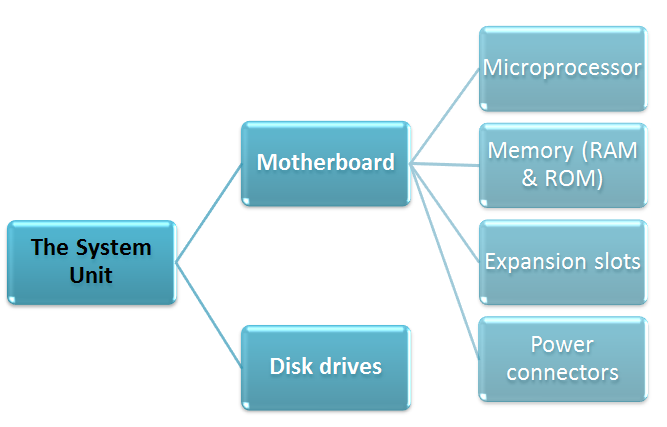 So there you go – your PC’s internal workings in a nutshell.